The Australian Prime Minister’s chief business adviser says that climate change is a ruse led by the United Nations to create a new world order under the agency’s control. The statement coincided with a visit from the UN’s top climate negotiator. 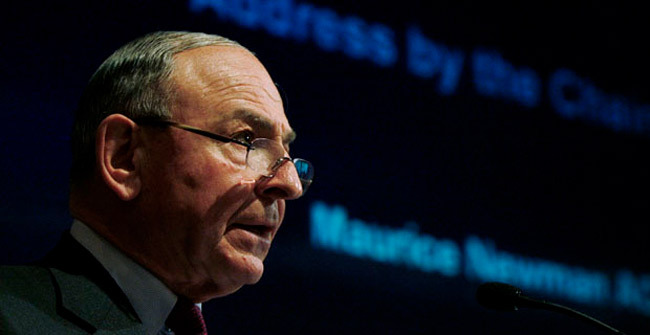 Maurice Newman, chairman of Prime Minister Tony Abbott’s business advisory council, said the UN is using false models which show sustained temperature increases because it wants to end democracy and impose authoritarian rule. “It’s a well-kept secret, but 95 percent of the climate models we are told prove the link between human CO2 emissions and catastrophic global warming have been found, after nearly two decades of temperature stasis, to be in error,” he wrote in an opinion piece published in The Australian newspaper on Friday, without providing evidence. The adviser’s inflammatory comments coincided with a visit from UN climate chief Christiana Figueres. But that call is unlikely to be heeded. During November’s G20 meeting in Brisbane, Abbott warned that the Paris summit would fail if world leaders decided prioritize the cutting of carbon emissions over economic growth. 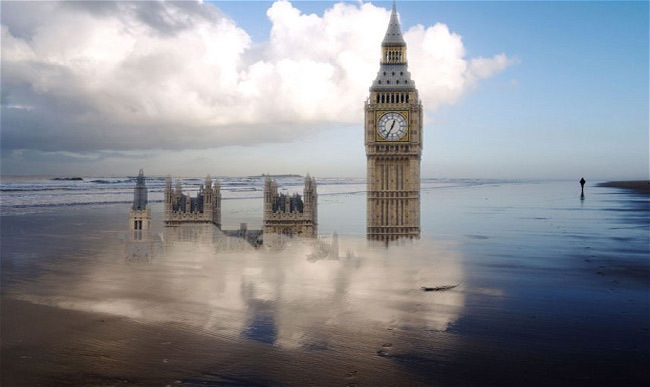 The prime minister has been reluctant to take part in climate change politics, trying but failing to keep it off the agenda at last year’s G20 summit. Both Abbott’s office and the United Nations have so far declined to comment on Newman’s statements. In February, he criticized renewable energy policies. Citing British charity Age UK, he stated that elderly citizens in Britain often die of “winter deaths” because they can’t afford power. He blamed renewable energy policies which drive up the price of energy. According to the UN’s Intergovernmental Panel on Climate Change, the global mean temperature could rise by up to 4.8° Celsius (40.6° Fahrenheit) this century alone. The prediction is seen as a recipe for droughts, floods and rising seas. If you ask the environmentalists, it is global warming. If it snows, it is global warming. If it’s hot, it is global warming. 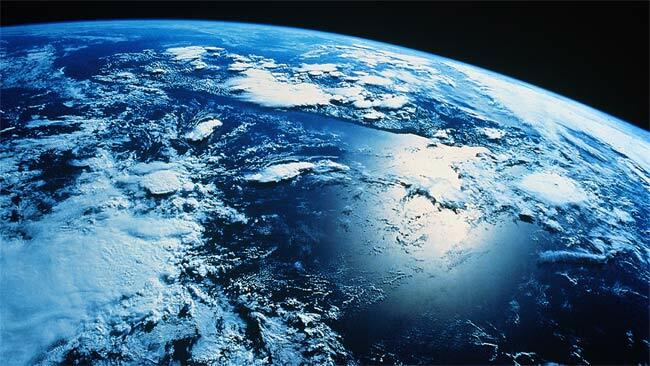 Everything is global warming and must be redressed immediately or the earth will perish. This is not just Amerika – but worldwide. Hundreds of billions have already been spent around the globe on a deliberately manufactured panic. 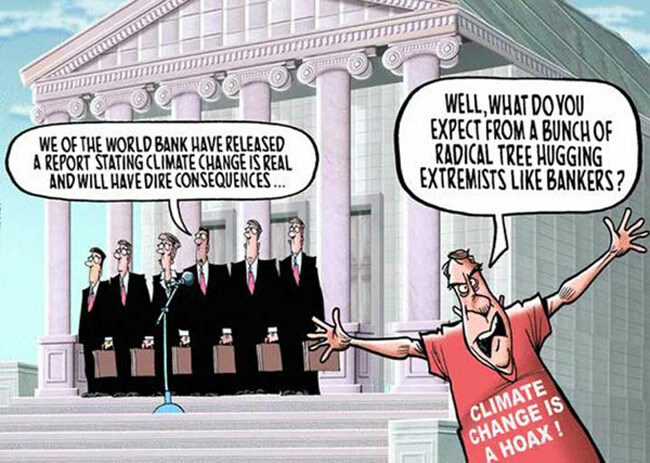 I am not sure who coined the term “climate change industry,” but it is an apt description of the snake oil salesmen who have become billionaires on the unfounded and irrational fear of debunked global warming and of climate change based on manufactured consensus science. Having declared that the “science is settled,” the global warming scaremongering environmentalists are moving on to the next target of limiting our property rights and freedoms via carbon footprint and draconian, coal-industry destructive EPA regulations. It is not the crushing, out-of-control debt; it is not the planned and unchecked flood of immigrants into countries around the world, changing the demographics and eliminating sovereignty to the benefit of global elitist control; it is not ISIS beheading Christians and occupying the formerly liberated towns and provinces in Iraq; and it is not Iran, with its nuclear bomb program, threatening to wipe Israel off the map – Israel, our ally, and the only sane patch of reality in the Middle East. Of course, climate has been changing, and we are in a cooling period now, but truth cannot impede the liberal political advocates’ agenda of taxing rich countries more, spreading the wealth, and destroying our economy in the name of protecting the Earth. Electricity costs are going up, smart meters that catch on fire have been installed everywhere in order to control people’s energy consumption and in-home ambient temperature, and many electricity generation plants are scheduled to be closed due to draconian EPA regulations. The government’s all-out assault to redress climate change through regulatory planning and financial control is having a serious impact on our economy, the coal industry, the oil industry, and on everybody’s lives. The hypothesis that rich nations caused climate change by burning fossil fuels to produce energy has never been proven by IPCC’s computer modeling. The real reason behind the global warming scare and why the United Nations’ alarmists have been driving us into forced submission of environmentalist stewardship is that they want capitalism destroyed and replaced with their vision of a utopian communist economy that has never worked across the centuries. These progressives have a problem with the Industrial Revolution, with “fossil fuels” (They are not so fossil, since the earth keeps producing them), with the only successful economic model that has provided generous income to all these hot-air spewing, idle bureaucrats, who have nothing better to do than meet in exotic locales planning the destruction of the goose that lays the golden eggs that feed their exorbitant lifestyles, salaries, bonuses, and pensions. The beguiling simplicity of the first sentence of an article in last week’s Dominion Post by Wratt, Reisinger & Renwick (WRR) about the IPCC’s view of climate change masks deep ambiguity and confusion about what precisely the dangerous anthropogenic global warming (DAGW) hypothesis is all about. The statement that warming of the climate system is unequivocal; it depends entirely on the time period considered. For instance, mild global warming occurred between the end of the Little Ice Age (say 1860) and now, and also between 1979 and 1997. However, it is also true that cooling of a degree or two has occurred since the peak of the Mediaeval Warm Period (say 900 AD), and also since the Holocene Climatic Optimum about 8000 years ago. Planet Earth is therefore clearly on a long-term cooling trend within which the 20th century multi-decadal warmings that the IPCC focuses on represent weather variability and oceanographic-atmospheric oscillations more than they do long-term climate change. It is also the case that no statistically significant warming has occurred since 1997, an 18 year-long period during which atmospheric carbon dioxide levels increased by 10%. That 10% increase represents fully 30% of all the human-related emissions since the start of the industrial revolution – all for no warming. 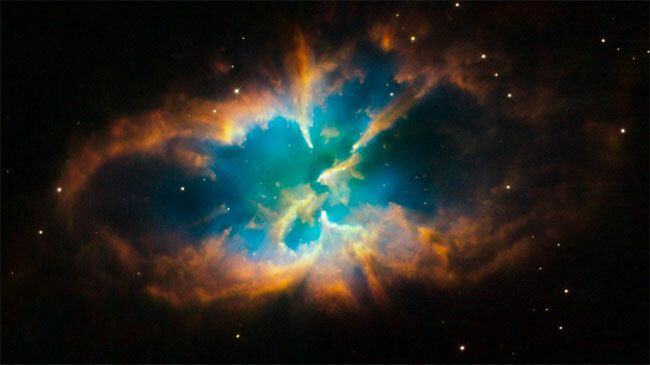 Which brings us back to the real hypothesis that we wish to test. It is not, as WRR seem to believe, that “warming of the climate system (is) happening” but specifically that “dangerous global warming will be caused by human-related carbon dioxide emissions”. Science is about testing hypotheses, and the facts related above are a primary test of the DAGW hypothesis as just stated. The hypothesis fails that, and many other, empirical tests. In addition, there is another primary hypothesis that WRR have failed to address, which is the simplest hypothesis that explains all the facts – called by scientists the null hypothesis. Given the highly variable nature of both weather and climate through time, the simplest hypothesis is that “observed modern changes in the climate system, or in plants and animals affected by it, are due to natural causes unless and until specific evidence indicates otherwise”. Neither WRR nor their favoured IPCC scientific sources describe any evidence whatever that invalidates that hypothesis. WRR’s innocuous first sentence continues “…. human influence on the climate system is clear”. Well, of course, for we can’t imagine a single scientist who would dispute that statement. For example, the building of towns and cities alike replaces natural vegetation and land surfaces with industrial materials, thus providing a heat trap for solar radiation and causing the local warming that is termed the urban heat island effect. Similarly, in the countryside, farmers cut down dark-coloured native vegetation and replace it with light-coloured crops such as wheat. These fields now reflect more incoming solar radiation than did the native forest, which results in local, human-induced cooling. The issue then is not one of “is there human influence” on climate, but of “how great is the human influence and is it warming or cooling?”? As summarised in the reports of both the IPCC and NIPCC (Nongovernmental International Panel on Climate Change), thousands of scientists have expended hundreds of billions of dollars researching this question since 1988 (formation year of the IPCC) without any evidence emerging that the human effect exceeds the natural, random variations above and below the lineal trend-line employed to portray the global temperature signal, or that any of the manifold changes in the natural world around us today are being caused by human-related carbon dioxide emissions. Given that it has taken us 824 words to dissect and correct just the single opening sentence of the WRR article, readers will appreciate that it would take nearly a book to adequately discuss, and in many instances correct, the remainder of their tendentious article. For interested readers, we have provided a point by point commentary on the eleven points enumerated by WRR at this web address – http://tinyurl.com/m8e5bag. Here, we conclude by offering just a brief summary statement of the remainder of the WRR article – which is this. WRR (and the IPCC) present many statements of fact with which we, and many other scientists, agree. In interpreting those facts, however, WRR fail to use them to test the DAGW hypothesis, fail to disprove the null hypothesis, often treat evidence in an anecdotal way, and reveal a partiality for adopting alarmist environmental projections from deterministic computer models that have failed to make correct predictions. The US has actually been cooling since the Thirties, the hottest decade on record. Comment: But the cooked-up man-made global warming data sure does play into the hands of the cabal. It’s just what the Doctor ordered for gaining more power, control and theft of money – forcing the stupid sheeple to pay ‘carbon taxes’ and such. When future generations try to understand how the world got carried away around the end of the 20th century by the panic over global warming, few things will amaze them more than the part played in stoking up the scare by the fiddling of official temperature data. There was already much evidence of this seven years ago, when I was writing my history of the scare, The Real Global Warming Disaster. But now another damning example has been uncovered by Steven Goddard’s US blog Real Science, showing how shamelessly manipulated has been one of the world’s most influential climate records, the graph of US surface temperature records published by the National Oceanic and Atmospheric Administration (NOAA). Goddard shows how, in recent years, NOAA’s US Historical Climatology Network (USHCN) has been “adjusting” its record by replacing real temperatures with data “fabricated” by computer models. The effect of this has been to downgrade earlier temperatures and to exaggerate those from recent decades, to give the impression that the Earth has been warming up much more than is justified by the actual data. In several posts headed “Data tampering at USHCN / GISS”, Goddard compares the currently published temperature graphs with those based only on temperatures measured at the time. These show that the US has actually been cooling since the Thirties, the hottest decade on record; whereas the latest graph, nearly half of it based on “fabricated” data, shows it to have been warming at a rate equivalent to more than 3 degrees centigrade per century. There is no scientific proof of man-made global warming and a hotter earth would be ‘beneficial for humans and the majority of other species’, according to a founding member of environmental campaign group Greenpeace. 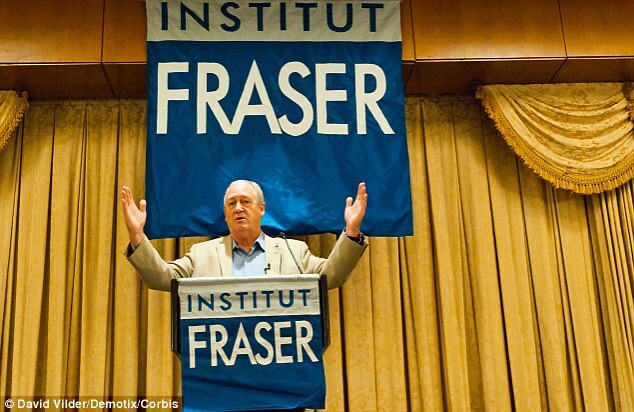 The assertion was made by Canadian ecologist Patrick Moore, a member of Greenpeace from 1971 to 1986, to U.S senators on Tuesday. He told The Senate Environment and Public Works Committee: ‘There is no scientific proof that human emissions of carbon dioxide (CO2) are the dominant cause of the minor warming of the Earth’s atmosphere over the past 100 years. Humans, he added, just aren’t capable of predicting global temperature changes. 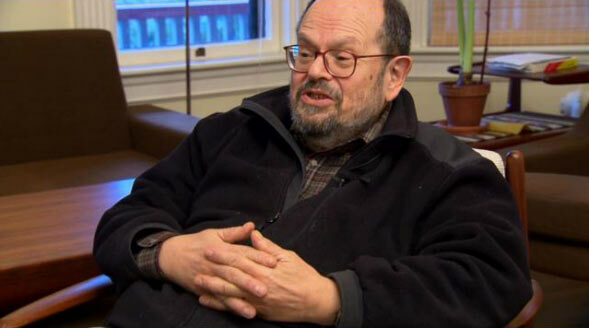 “Global warming, climate change – all these things – are just a dream come true for politicians.The opportunities for taxation, for policies, for control, for crony capitalism are just immense” – MIT Professor Richard Lindzen. A world-renowned climate expert is speaking out against the government’s ridiculous and continued climate change hysteria. The growing number of failed predictions from alleged global warming experts has only cooled the public’s belief in recent months. 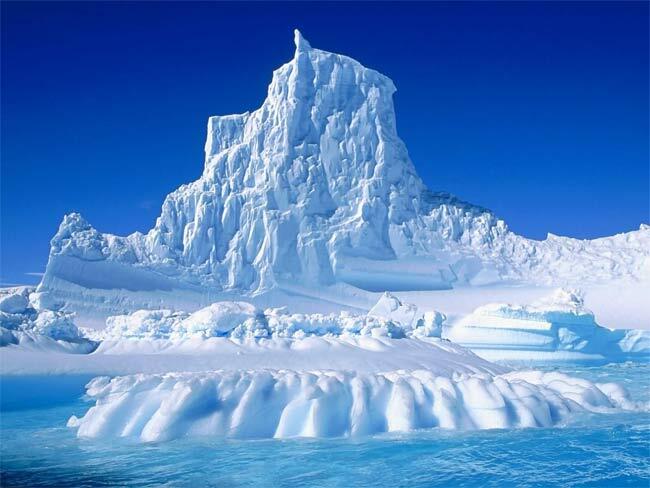 From 2007 to 2009, Al Gore hysterically warned that the North Pole would be completely “ice-free” by 2013. Instead, 2013 experienced record breaking cold and major growth in Arctic ice. Similarly, Gore made desperate warnings over the danger of increased hurricanes during the same time period. Climate scientists had trouble explaining the record low hurricanes that followed soon after. In his 1992 book “Earth in the Balance,” Gore went on to claim that global warming would soon wipe coastal areas of Florida off the map in as little as a few decades. Sea level statistics taken 18 years later revealed Gore’s predictions to be completely inaccurate. White House Science Adviser John P. Holdren, who made failed predictions of global cooling in his 1977 book Ecoscience, blamed the recent “polar vortex” on global warming. Researchers soon uncovered a 1974 Time Magazine article where scientists claimed a cold polar vortex was the result of global cooling instead. Unsurprisingly, major environmental issues such as the ongoing Fukushima nuclear disaster are completely ignored by Gore and company. Given the massive amount of money Gore has continued to make from generating climate fear, it seems unlikely that any real disaster unable to generate cash will receive proper attention. ( No Need to Panic About Global Warming ) that presidential candidates should understand that the statement that “nearly all scientists demand that something dramatic be done to stop global warming” is not true. It said that when Dr de Freitas published a peer-reviewed article in 2003 “with the politically incorrect (but factually correct) conclusion that the recent warming is not unusual in the context of climate changes over the past thousand years” members of a “warming establishment” mounted a determined – though unsuccessful – campaign to have him removed from his editorial job and fired from his university position. 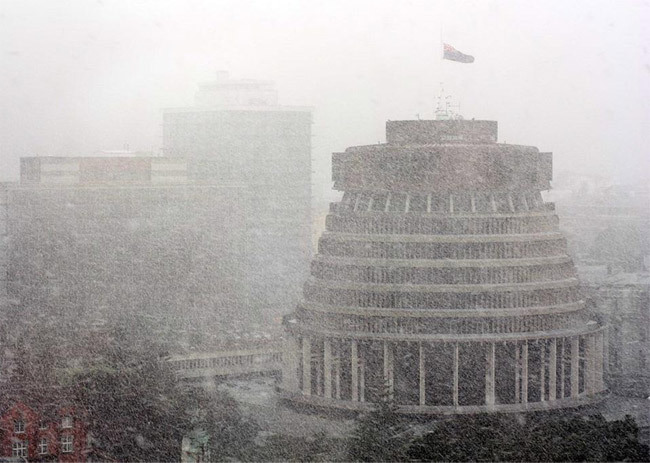 The op-ed page piece also re-visited “Climategate” allegations against another New Zealander, Dr Kevin Trenberth, a senior scientist at the climate analysis section of the US National Center for Atmospheric Research. But a sharply-worded response has now been published in the WSJ – signed by Dr Trenberth and over 30 other scientists from Australia, Canada, Britain, France and the USA – and referred to the group of 16 as the “climate-science equivalent of dentists practicing cardiology”. “Most of these authors have no expertise in climate science,” it said. “The few authors who have such expertise are known to have extreme views that are out of step with nearly every other climate expert”. Observations showed unequivocally that the planet was getting hotter, and computer models had shown that during periods when there was a smaller increase of surface temperatures, “warming is occurring elsewhere in the climate system, typically in the deep ocean”. It pointed out that a quote attributed to Dr Trenberth was used out-of-context and misrepresented . The row has been picked up on science news websites, including the SMC, and Discovery.com , where the headline read: Climate Scientists Occupy Wall Street Journal , and in mainstream media such as London’s Guardian and the New York Times . Download the Special Report: A-Z Climate Change Reality Check expose. Appearing on The Alex Jones Show yesterday, Lord Christopher Monckton went further than ever before in his vehement opposition to the elitists running the climate change scam, calling for the UN to be shut down and for fraudulent peddlers of global warming propaganda like Al Gore to be arrested and criminally prosecuted. Monckton said that those who are threatening to shut down economies, bankrupt nations, and deepen the problems of the third world by implementing draconian policies in the name of global warming should be indicted, prosecuted and imprisoned “for a very long time”. “The fraudsters and racketeers from Al Gore to the people at the University of East Anglia who have been making their fortune at the expense of taxpayers and the little guy,” should be criminally charged, said Monckton, in response to the climategate scandal. “We the people have got to rise up worldwide, found a party in every country which stands for freedom and make sure we fight this bureaucratic communistic world government monster to a standstill – they shall not pass,” he added. 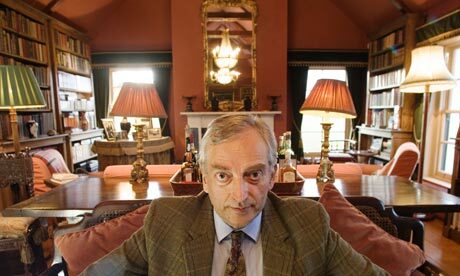 “We would all save billions if we shut down the UN and just about all of its hideous bureaucracy,” said Monckton. Lord Monckton emphasized how the emails released as a result of climategate prove that global warming alarmism was still prevalent in public but behind closed doors, warmist scientist are admitting that the “deniers” as they label people like Monckton are correct. His solution is to, “Nudge search engines to take more responsibility for their index and exercise a heavier curatorial control in presenting search results for issues like “global warming” or “vaccination.” Google already has a list of search queries that send most traffic to sites that trade in pseudoscience and conspiracy theories; why not treat them differently than normal queries? Many of the proponents of man-made global warming are now claiming that climate change is worse than they predicted. According to an Oct. 18, 2011, Daily Climate article, global warming activists claim that the “evidence builds that scientists underplay climate impacts,” and “if anything, global climate disruption is likely to be significantly worse than has been suggested. But a forthcoming Climate Depot A-Z Climate Reality Check report on the failure of the science behind man-made global warming theory will shatter any such illusions that the climate is “worse than we thought.” Recent scientific data and developments reveal that Mother Nature is playing a cruel joke on the promoters of man-made climate fears. 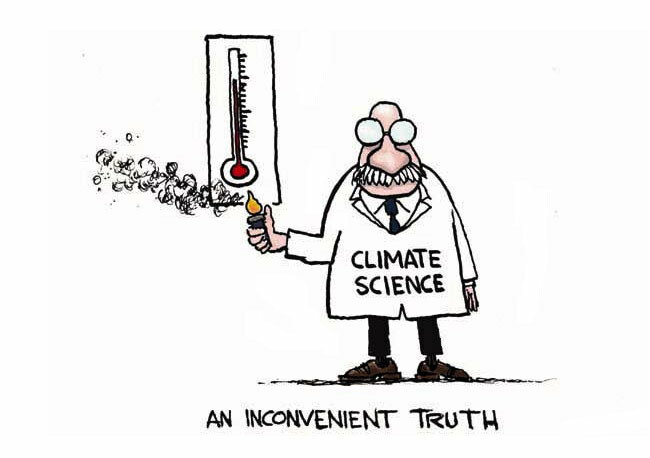 The scientific reality is that on virtually every claim, the scientific case for man-made climate fears has collapsed. The only thing “worse than we thought” is the shoddy journalism of the mainstream media, which parrots global warming activists’ baseless talking points. The Antarctic sea ice extent has been at or near record extent in the past few summers; the Arctic has rebounded in recent years since the low point in 2007; polar bears are thriving; the sea level is not showing acceleration and is actually dropping; cholera and malaria are failing to follow global warming predictions; Mount Kilimanjaro-melt fears are being made a mockery by gains in snow cover; global temperatures have been holding steady for a decade or more as many scientists are predicting global cooling is ahead; deaths because of extreme weather are radically declining; global tropical cyclone activity is near historic lows; the frequency of major U.S. hurricanes has declined; the oceans are missing their predicted heat content; big tornadoes have dramatically declined since the 1970s; droughts are neither historically unusual nor caused by mankind; there is no evidence we are currently having unusual weather; scandals continue to rock the climate fear movement; the United Nations’ Intergovernmental Panel on Climate Change has been exposed as being a hotbed of environmental activists; and scientists continue to dissent at a rapid pace. 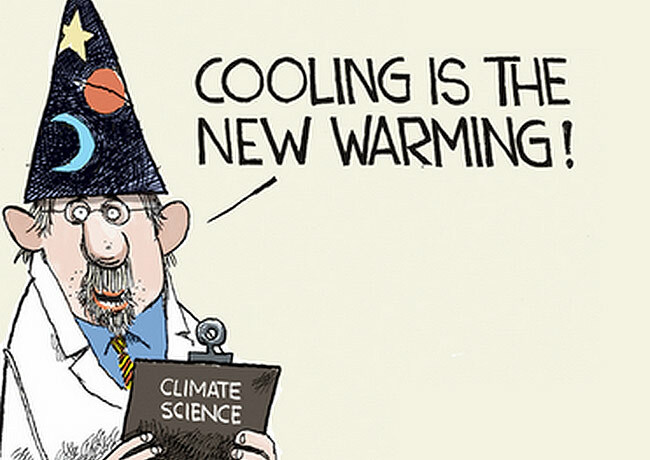 The promoters of man-made climate fears are now reduced to claiming — as University of California, Berkeley, professor Richard Muller did last week — that any warming trend equals some sort of “proof” of man-made warming. Those of us who laugh at Gore’s mythical “climate crisis” tip our hat to Obama for not pushing very hard for the Congressional Climate Bill and for being so tepid at U.N. climate conferences. Of course, Obama is still threatening to unleash the U.S. Environmental Protection Agency to regulate that harmless trace essential gas we exhale from our mouths — CO2 — but that effort will most likely wait until after the next presidential election. As for Gore and the U.N.’s scientific claims, it has been quite a joy to watch the entire man-made global warming fear movement disintegrate before our eyes. A movement that had the divisive Gore as its face was bound to fail. A movement that utilized the scandal-ridden U.N. — which is massively distrusted by the American people — as the repository of science was doomed to fail. Gore is now reduced to pointing to every storm, flood, hurricane or tornado as proof of man-made global warming. As reported by the Gateway Pundit : Top US scientist Hal Lewis resigned this week from his post at the University of California at Santa Barbara. He admitted global warming climate change was nothing but a scam in his resignation letter. It is of course, the global warming scam, with the (literally) trillions of dollars driving it, that has corrupted so many scientists, and has carried APS before it like a rogue wave . It is the greatest and most successful pseudoscientific fraud I have seen in my long life as a physicist. Anyone who has the faintest doubt that this is so should force himself to read the ClimateGate documents, which lay it bare. (Montford’s book organizes the facts very well.) I don’t believe that any real physicist, nay scientist, can read that stuff without revulsion. I would almost make that revulsion a definition of the word scientist. In this chamber, 63 CERN scientists from 17 European and American institutes have done what global warming doomsayers said could never be done — – demonstrate that cosmic rays can seed clouds, and that the more that cosmic rays reach Earth’s atmosphere, the cloudier it will be. Because the sun’s magnetic field controls how many cosmic rays reach Earth’s atmosphere (the stronger the sun’s magnetic field, the more it shields Earth from incoming cosmic rays from space), the sun determines the temperature on Earth. CERN, and the Danes, have in all likelihood found the path to the Holy Grail of climate science. But the religion of climate science won’t yet permit a celebration of the find.